A new look at an old raw image with new software. The original capture was marred by numerous electrical lines running across the frame, and Affinity Photo's wonderful Inpainting Brush Tool outperformed other apps tried to deal with the problem. 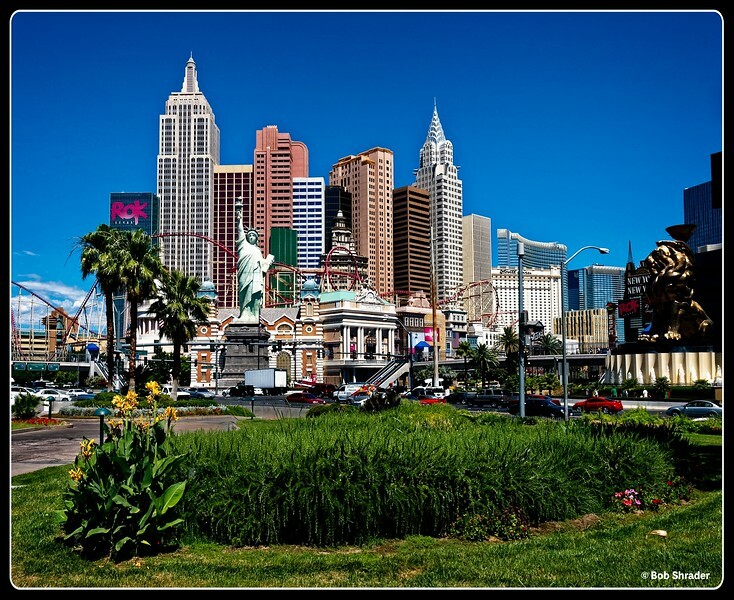 Here is a wide 2010 view of the New York - New York Hotel and Casino complex on the Las Vegas Strip. Raw development in DxO PhotoLab with lens correction in DxO ViewPoint 3. Post processing in Affinity Photo 1.6. Final post in ON1 Photo RAW 2018 (preset: Hot & Cold: Glacial).